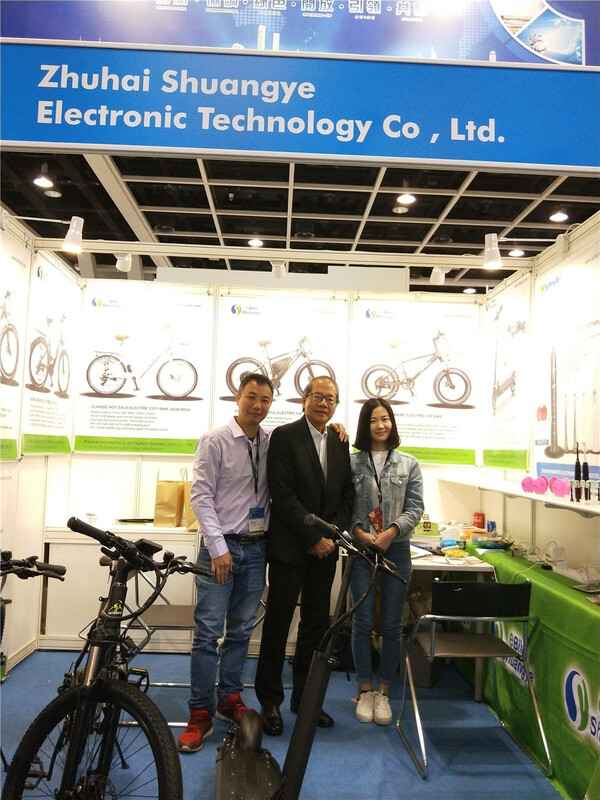 Shuangye sale team took part in Hong Kong Electronics Fair from 13th – 16th April, 2019 in Hong Kong. 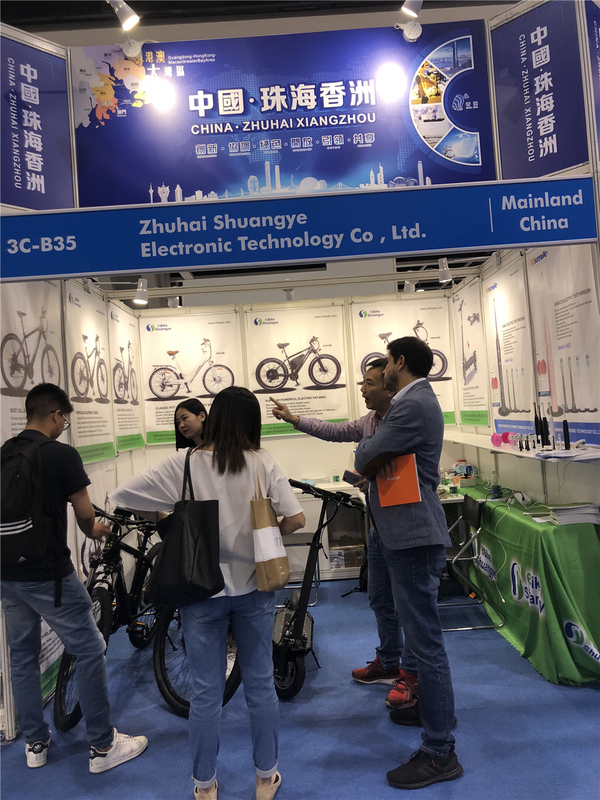 And it show their products on the booth to visitors and customers from all of world. 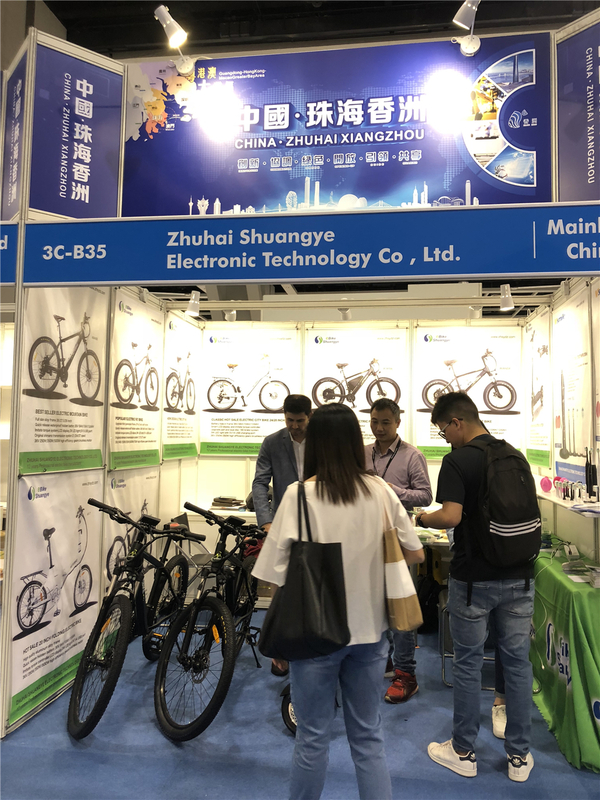 And here are some pictures about shuangye electric bike on 2019 Hong Kong exhibition. 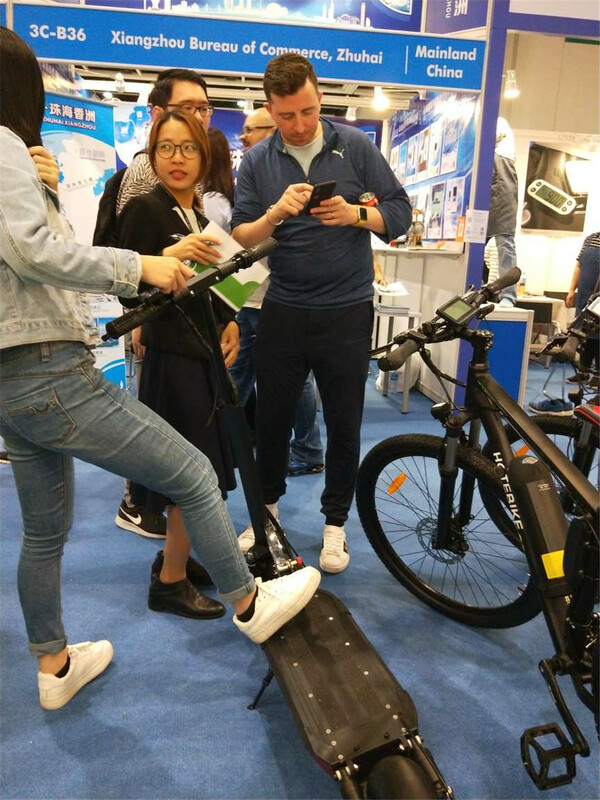 Visitors and customers observe and know the products. 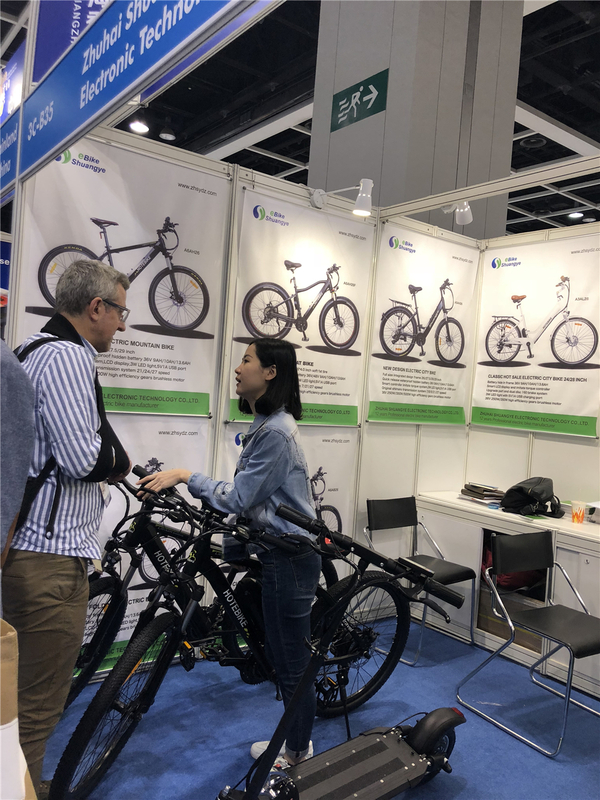 Our sales are introducing more detailed information to them. 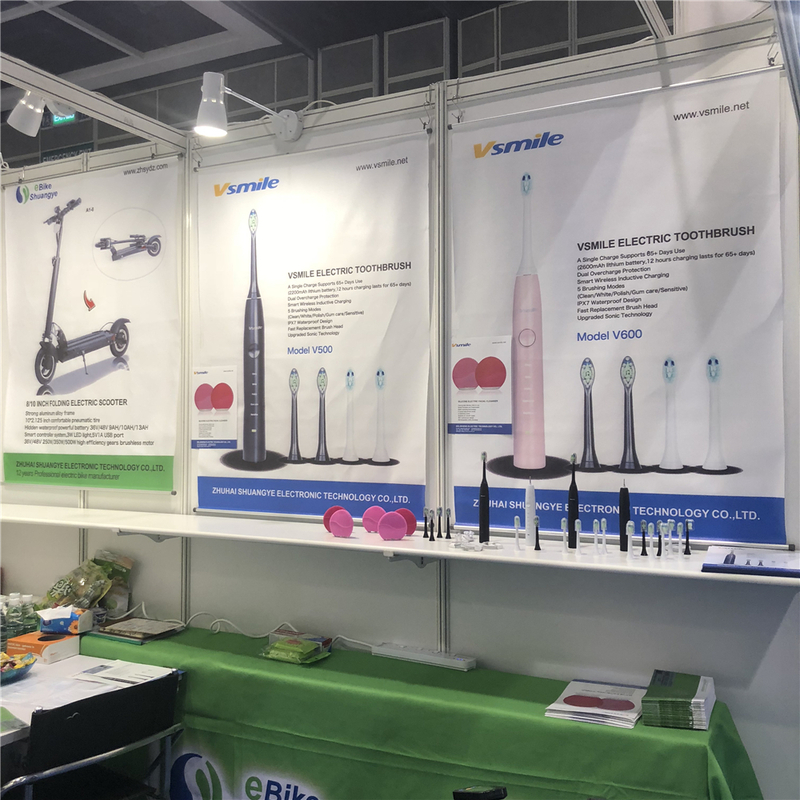 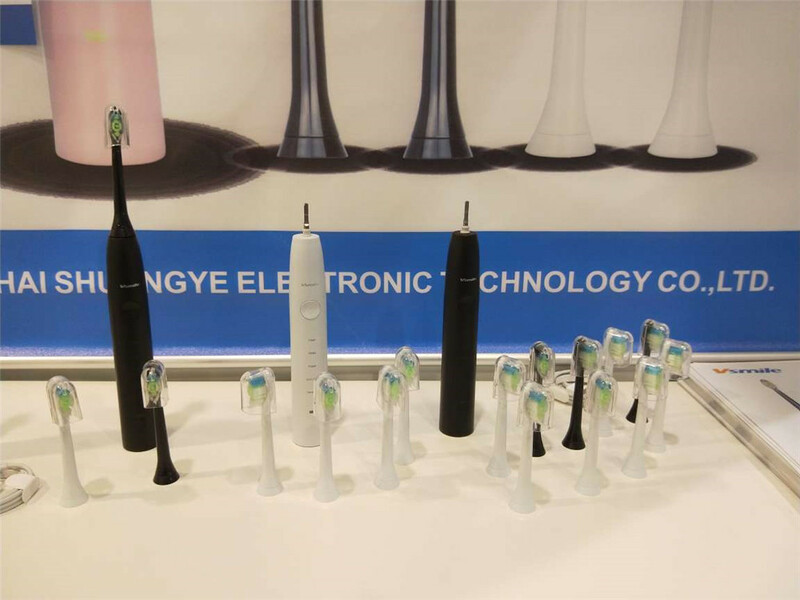 And we also show some electric toothbrush and silicone electric facial cleanser samples on our booth. 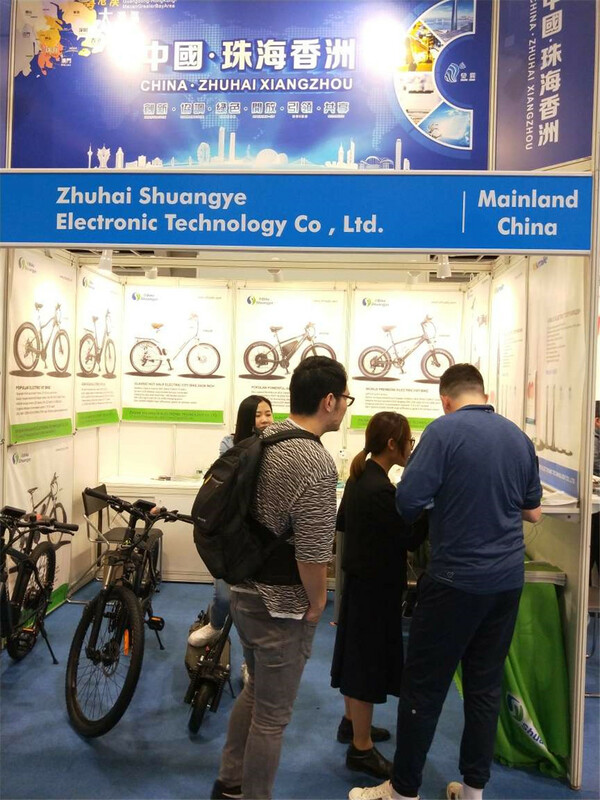 If you want to know more information about the fair, please leave a message below.